London Film and Comic con. Guests included Edge, Rob Van Dam, Million Dollar Man and Hacksaw Jim Duggan. An Evening with Hulk Hogan, Jimmy Hart, Lanny Poffo/ The Genius, Fredd Ottman/ Tugboat and Bushwacker Luke. 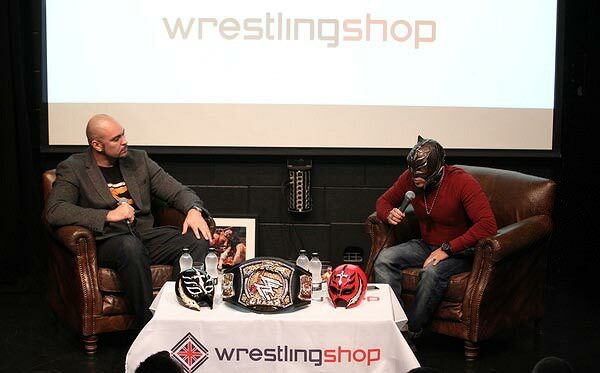 wrestlingshop.com presents An Evening with Rey Mysterio. Blackpool Comic con 2015. 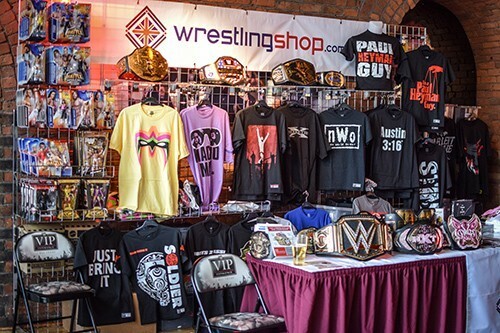 Guests included Mick Foley, Kevin Nash, Booker T, Al Snow and more. London Film and Comic con. Guests included Rey Mysterio, Rocky Johnson, Animal from Legion of Doom and Brutus the Barber Beefcake. There were a number of WWE Hall of Famers in attendance including Bret Hart, Shawn Michaels, Jim Ross, Lita and Trish Stratus. Back when we stocked Jakks UFC and Round 5 UFC products, we were selling at the UFC Fan Expo London. Guests included Junior Dos Santos, Wanderlei Silva and Dana White.